Published June 1, 2016 at 6167 × 4991 in First freedom ride. 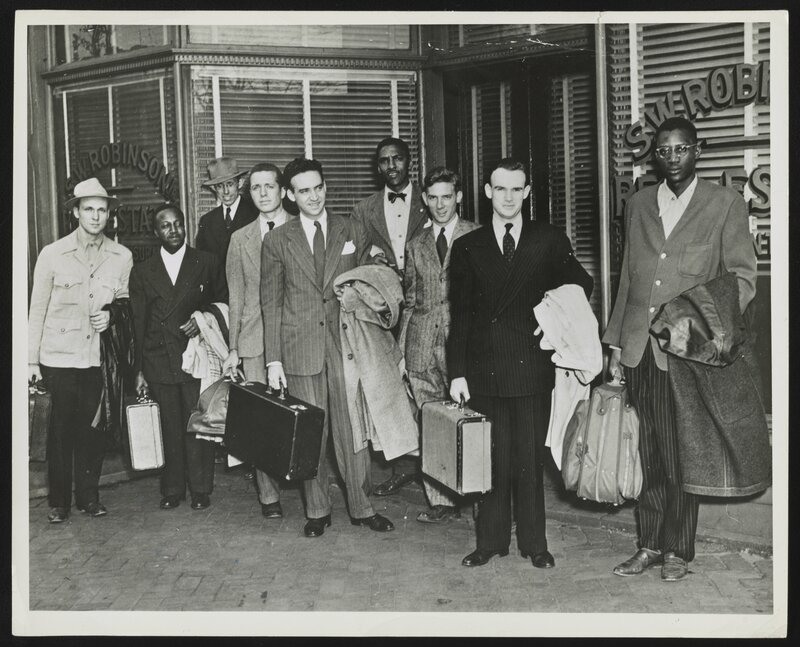 The Journey of Reconciliation – first “Freedom Ride.” Participants stand outside the office of Attorney Spottswood W. Robinson, III, in Richmond, 1947. Left to right: Worth Handle, Wally Nelson, Ernest Bromley, Jim Peck, Igal Roodenko, Bayard Rustin, Joe Felmet, George Houser, and Andy Johnson holding suitcases and coats. Reproduced from the Collections of the LIBRARY OF CONGRESS.